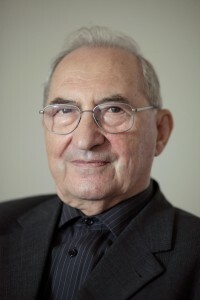 Professor Hollerweger is one of the cofounders of the “Initiative Christian Orient” and was a professor for liturgical studies in Linz, Austria, until 1995. Whereas Christians in the south of the country, in Baghdad, and even in Mosul, must fear for their lives, in Iraqi Kurdistan they can live safely, insisted Professor Hollerweger. 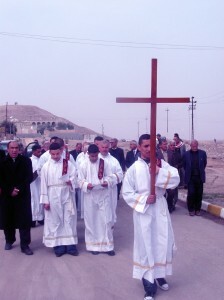 Two thirds of the Christians in northern Iraq belong to the Chaldean Catholic Church, while the remaining third are Syrian Catholic, Syrian Orthodox or Armenian Christians. “These are ancient churches that have always been there and which for centuries have cultivated an overwhelmingly peaceful relationship with their Islamic neighbors,” said Professor Hollerweger. He went on to saw that Islamic extremists are now trying to destroy this coexistence, whereas Kurdish representatives expressly wish the Christians to remain in the country. Professor Hollerweger, who has been committed to the cause of the Christians in the Orient for over 20 years, is a regular visitor to Iraq. He charges the West with doing too little for the Christians in the country, even though it is above all these Christians who can build bridges between the different religions and ethnic groups. According to Professor Hollerweger, Western media also report one-sidedly on Iraq and almost completely ignore the positive developments in the North. In this area of Iraq, which is under Kurdish control, there are several hundred thousand Christians, Professor Hollerweger told ACN. The local administration has been actively involved in the resettlement of the Christian population who were expelled by Saddam Hussein. Since 2003, in the Chaldean Catholic Diocese of Zakho alone, in the Dohuk governorate, no fewer than 16 villages have been rebuilt, he told ACN. However, many people are unable to find work and are therefore looking for a way of leaving Iraq. “Agriculture could provide a way out for many people, but there is a lack of agricultural machinery, tractors, seed; in fact everything”, the Austrian professor added. Help is urgently necessary, he insisted, above all in order to give the many young Christians some hope for the future. Aid to the Church in Need has been supporting the Iraqi Christians for years. According to estimates there are still some 300,000 of them living on the Euphrates and Tigris. ACN helps among other things with the building, or rebuilding, of churches and other Church institutions, as well as helping with the formation of priests, religious and other pastoral workers. The charity also supports projects in the field of the youth and family apostolate, whether in the North or elsewhere within Iraq. ACN’s overall objective is to make it possible for the Iraqi Christians and their communities to find a secure future in their homeland.